Our Santa Barbara, Montecito, and Goleta area is beautiful, the entire Central Coast is amazing… And our water doesn’t taste good at all. You can read the Water Quality Report for your area and see what contaminants are tested for and how much of each is present. Please keep in mind that only a few of the condiments that may be in the water are required to be tested for. For most of us chlorine is used in our drinking water kills pathogens and diseases, but leaves an unpleasant taste and smell. Sol Wave Water has the solution. 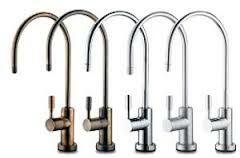 We have water filtration systems for home, business, and office. Let Sol Wave Water put the flavor back into your morning coffee and tea! You can rent or purchase a drinking water system from Sol Wave Water. We will install, maintain and always be available to answer questions and even help you reclaim the water from your drinking water system. drinking water system filter changes, service and maintenance for your current water softener and drinking water system. 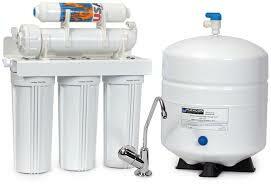 We offer rental water softeners and drinking water systems. 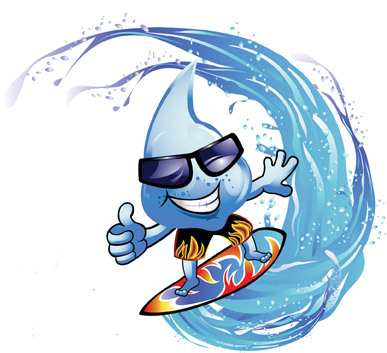 Sol Wave Water is here to fit into your budget. Reverse osmosis is high purity delicious drinking water; when an icemaker is fed with RO water the cubes will be clear and will not flavor the beverage nor leave sediment in the glass. Most all high-end bottled water is reverse osmosis. Our systems come with a 4 gallon holding tank that yield about 2 gallons of water at any one time. Multiple tanks can be installed and the daily production can be increased as needed. Why do I want 1-1 Reverse Osmosis? #1-Introducing the Sol Wave 1-to-1 Reverse Osmosis System. Want better quality drinking water but thought an RO just wastes too much water? Been thinking about removing your RO because you are concerned with the limited precious water we have left? Now you can have great drinking water here in Santa Barbara (Yes we service Santa Ynez and Ventura County) and not waste any water. The new 1-to-1 system will produce one gallon of purified water and only use one gallon to remove the contaminants. Until now the industry standard has been that for each gallon of water produced 5-8 gallons of water are sent to drain. The time of that waste is over. In addition to offering the sale and rental of the 1 to 1, we can also retrofit most existing system with the new technology. Call today and start seeing the savings! #2- “Salt Free” The process of reverse osmosis removes sodium molecules from water, reports the CDC. Large sodium molecules cannot pass through the membranes of the reverse osmosis filtering system. Drinking reverse osmosis water therefore provides benefits to people with high blood pressure, kidney or liver disease or any sodium restrictions. #3- The reverse osmosis system sends the water through a semi-permeable membrane that does some things filtration alone cannot do. If there’s lead in your water, for example, a typical thin-film membrane will remove 94% to 96% of it. If your water has a high amount of sodium, the same thin-film membrane will remove 90% to 95% of it. Sodium is not removed by normal filtration. In addition to the vast array of contaminants RO removes, RO is a preferred treatment for: chrome IV (chromium-six) arsenic, asbestos, and all of the cancer-causing “radionuclides.” Also, the reverse osmosis membrane in conjunction with the carbon filtration that accompanies it is the best technology available for the removal of chloramines (found in some parts of Camarillo and Ventura County), which many city water systems now use instead of chlorine (used in most of Santa Barbara County’s water). Most of our reverse osmosis systems contain three activated carbon filters. Of the EPA’s list of regulated contaminants, carbon is the recommended best treatment for the vast majority. For the removal of organic chemicals, chlorine and its by-products, herbicides and pesticides, the activated carbon component is unrivaled. Carbon is amazing at improving taste and eliminating odor. That’s why Sol Wave Water reverse osmosis units use the best carbon filters we can buy—in every case. In addition to its carbon filters, Reverse osmosis plus carbon is also the first choice for removal of the gasoline additive MTBE that’s becoming a concern to some water supplies. #4- And in general– All the materials used in our products FDA or NSF (National Safety Foundation) approved? If not, you might question their quality or performance ability. So, it becomes clear that the quality of your service provider and the quality of the components they use is the key to an optimal functioning RO System. Most All RO Systems work the same way. Most RO (Reverse Osmosis) systems look alike. Most All RO Systems have the same basic components. The real difference is the quality housings, of the filters, and of the membranes inside the RO. Oh, and that it is sized correctly for your application. Here is a partial list of the impurities removed by the reverse osmosis process. 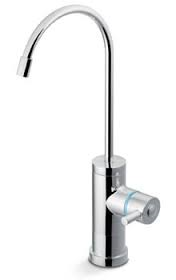 Just as pure, uses up to 6-8 times the amount of drain water. The reverse osmosis system sends the water through a semi-permeable membrane that does some things filtration alone cannot do. If there’s lead in your water, for example, a typical thin-film membrane will remove 94% to 96% of it. If your water has a high amount of sodium, the same thin-film membrane will remove 90% to 95% of it. Sodium is not removed by normal filtration. In addition to the vast array of contaminants RO removes, RO is a preferred treatment for: chrome IV (chromium-six) arsenic, asbestos, and all of the cancer-causing “radionuclides.” Also, the reverse osmosis membrane in conjunction with the carbon filtration that accompanies it is the best technology available for the removal of chloramines (found in some parts of Camarillo and Ventura County), which many city water systems now use instead of chlorine (used in most of Santa Barbara County’s water). Most of our reverse osmosis systems contain three activated carbon filters. Of the EPA’s list of regulated contaminants, carbon is the recommended best treatment for the vast majority. For the removal of organic chemicals, chlorine and its by-products, herbicides and pesticides, the activated carbon component is unrivaled. Carbon is amazing at improving taste and eliminating odor. That’s why Sol Wave Water reverse osmosis units use the best carbon filters we can buy—in every case. In addition to its carbon filters, Reverse osmosis plus carbon is also the first choice for removal of the gasoline additive MTBE that’s becoming a concern to some water supplies. 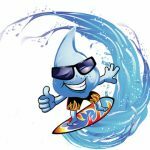 [/checklist] Water in the Central Coast is typically $3-$5 per unit on your water bill! Call for more information. Are Filters Correct for you? Activated Carbon- Of the EPA’s list of regulated contaminants, carbon is the recommended best treatment for the vast majority. For the removal of organic chemicals, chlorine and its by-products, herbicides and pesticides, the activated carbon component is unrivaled. Carbon is amazing at improving taste and eliminating odor. We stock GAC, Carbon Block, and can do specialty packed housings. Particulate – We stock filters from 50 micron down to 1 micron. We offer pleated, spun and wound. We have the particulate filter for your application. Coral Calcium/Calcite – Need to re-mineralize your water? We can do that. Some people don’t want high-purity water, or they want the alkalinity increased coral calcium may be the answer you are looking for. Di-Ionized- Need a spot free rinse for a clean-room or for water for your autoclave? Di-ionized water is as close to absolutely pure as water can get. We offer inline cartridges to use with RO systems or DI tank delivery service for your hospital, Navy ship, or car wash.
Chrome, brushed nickel, oil rubbed bronze, white, black, and many others to choose from. Contemporary, traditional, modern, two temp and insta-hot styles available. 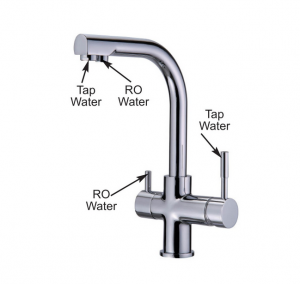 Want the convenience of a dispenser with hot and cold water… no room for the RO Faucet? Many new moms want the hot water to clean bottles, or maybe you are a tea drinking. What ever your reason and hot and cold dispenser may be the best for you. We offer this also – More info coming soon. Please call for details.